Slate roof homes require special attention when it comes to getting them clean with powerwashing. In fact, a softwashing technique should be used instead. 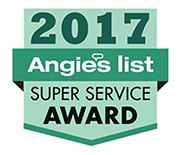 If you own a home with a slate roof that needs cleaning in the North New Jersey area, you understand how important it is that the roofing materials are treated carefully during cleaning or repairs. Regular cleaning of your slate roof should be performed once a year, only by professionals like ours here at Softwash Ranger who know how to properly treat the material. Slate shouldn't even be walked on when at all possible because it's too easy to break it and too hard to replace it. That's why we use our experience to provide softwash techniques that give your slate roof a thorough yet safe cleaning. Whether you have a historic older home or a new home with a slate roof, you'll want to be sure to keep it clean and looking sharp. If you're thinking about cleaning your slate roof yourself, please think again. Slate roofs are very slippery and dangerous. You may be in the best of shape yet have difficulty balancing on this type of roof. Plus, no one should be on your slate roof unless absolutely necessary because Slate is a quarried material that is difficult to match. It's easy to cause chips and cracks when you clean this material, yet it does become necessary to clean it yearly or more to remove stains. Many stains are caused by algae or mildew growth, and you don't want that growing on the roof of your house. Algae will eat away at the slate, causing it to decay years earlier than it should. Streaks will begin to appear and then you'll know it's past time to get it cleaned up. Unfortunately, many fly-by-night individuals will go through an area, rent a powerwashing machine, and call themselves a business. Little do they know how many roofs they've destroyed along the way. But professionals know that certain cleaning materials can discolor your slate roof, and that certain techniques need to be used to keep them from damage. Full pressure power washing should never be used on your slate roof, nor on any other roofing material. 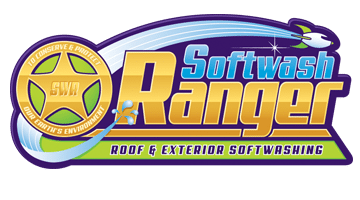 Our methods at Softwash Ranger ensure your roof is cleaned and the materials stay in tact. We understand the material and use our own formulas to keep your slate clean without staining it or harming it in any way. You don't want to entrust your slate roof to just any pressure washing company. Let us use our skill and experience to keep your slate roof clean this year!